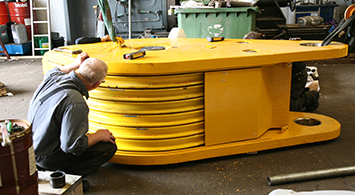 We are your solid sub-contractor for renovation of drilling rig components and spare parts. 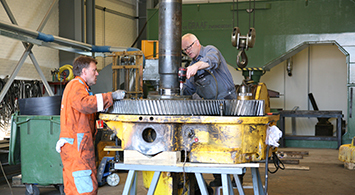 Our skilled workforce masters all the disciplines within metal working and our workshop facilities are fully equipped and ready to take in all types of rig repairs. We have carried out work for Maersk Innovator, Maersk Giant og Maersk Guardian. MarineService A/S is qualifid in the Achilles Joint Qualification System for suppliers to the Oil Industry in Norway and Denmark.